A wide range of the latest helicopters with a seating capacity of 5 passangers will be at your service. 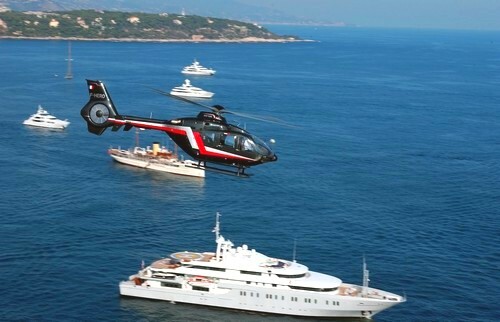 You can choose any convenient port or the nearest helipad as a starting point. If you want to film a video about your helicopter flight, our operator will film and edit a video clip professionally. You should remember that flights are available only at daylight hours and forbidden at nights. If you are interested in helicopter sightseeing flights on Cote d'Azur. You may also fill out the form mentioning the information of interest. Once we receive your request, we will contact you as soon as possible.